*Hyun Bin=Hotness personified* I just absolutely adore Hyun Bin.A Korean actor whose tv series I could watch over & over & over again.Thanks to Yaya,who gave me the complete set of his recent tv series,World’s Within for my 22nd birthday,my collection of all of his popular tv series is complete(along with My lovely kim sam soon & snow queen). The series is not cliché like most Korean series in the sense that most of their love story is filled with tears & heartaches & melodrama.World’s Within strikes to me as a series that’s peppered with incidents that happens in real life.The series revolves around people working behind the scene in creating hit Korean drama’s.Thus the series is a drama in a drama.haha. 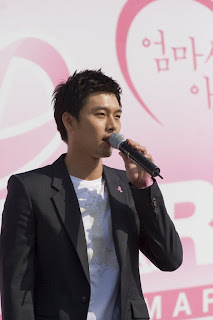 The series shows that there are times when a couple break up over the most trivial of reasons & at times it’s even inexplicable.Some of my favourite scenes is of course when Jung Ji Oh(Hyun Bin’s character) cleaned up Joong Yun’s place.It was just utterly romantic when he fold her clothes,do her laundry & cleaned up her dishes. There are many cute moments in the series & I’ve to confess that since I’m watching a dvd,I skipped all the boring parts( in other words,other characters other than Hyun Bin & Song Hye Gyo) & focus on the cute parts between both main characters.God I would totally marry Hyun Bin in a heartbeat..ehehehehe. ;)Watch this series people as it’s aired on 8TV currently but I think it’s only during the weekend. Anyway, ade lagi satu drama series die yg ko xde, Ireland, pernah dgr? aq pon x penah tgk..huhu. 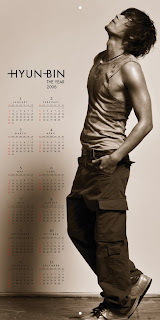 Hyun Bin, is purfectxx guyz~hoyeahh! nak boyfriend exactly mcm die!! !nk jugak!! !